By simply off-centering the minute hand, unusual graphic configurations take shape. As time passes, the hands create continuously shifting geometric formations. 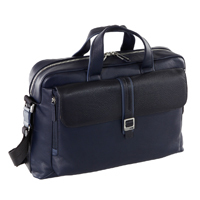 Business backpack in the Courier Leather line in full-grain calf, soft and pleasant to touch. 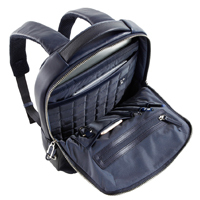 With padded backrest and straps, snap-shut front pocket and padded compartments for laptops (up to 15.6”) and tablets. Fully organized interior taking A4 notepads and all the accessories you need for work. 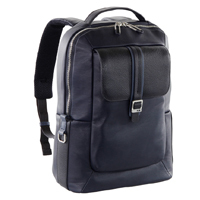 Business backpack in the Courier Leather line in full-grain calf, soft and pleasant to touch, with drummed leather detailing. 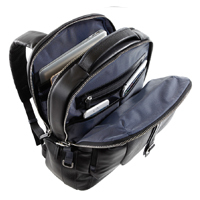 Capacious, practical and resistant: the zip-up front pocket, padded compartments for laptops (up to 15.6”) and tablets plus 2 side pockets make it an ideal companion for work. 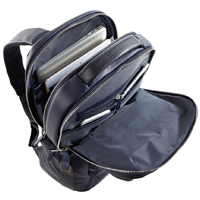 Breathable backrest and padded straps are just some of the features of this comfortable backpack. 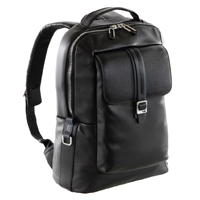 The backpack for laptops (up to 13") in the Courier Leather line is in soft full-grain calf with drummed leather detailing. 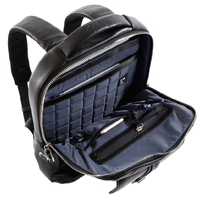 Thanks to its roomy front pocket, padded and breathable backrest and straps, you’ll always have the utmost in comfort and practicality. Ideal for workdays.